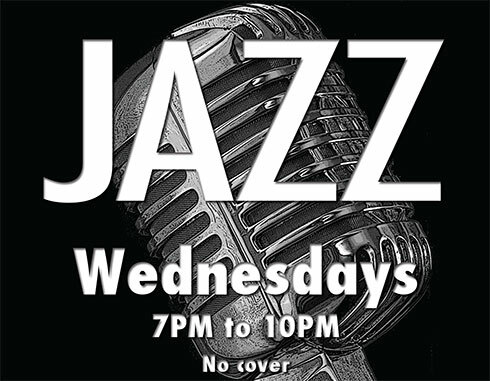 Join us each week for live jazz from a talented roster of jazz bands, featuring both instrumental music and vocals. Click on the link above to see the schedule of upcoming shows and hear samples of the music. Reserve a table to insure you have a cozy spot to enjoy the music with a cocktail or a glass of bubbly.